Ripley's Maple | Halifax Seaport Farmers' Market Ltd.
Producer of maple syrup, maple butter, maple cream, and maple sugar. In season wild blueberries, strawberries and cranberries. We also have frozen wild blueberries. Their entire production operation is off the electrical grid. 100% pure blueberry juice and we have homemade jams and jellies. 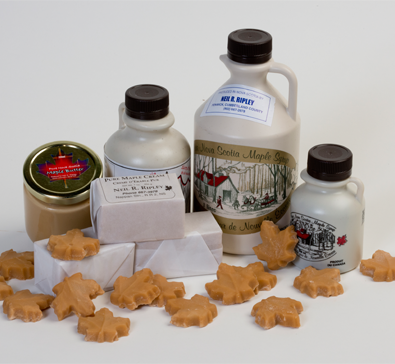 Read more about Ripley’s Maple by Laura Kirkpatrick.